Tinunu's Boys "Defeat" By Dancing Senator: How Will It Affect His Power In Lagos? 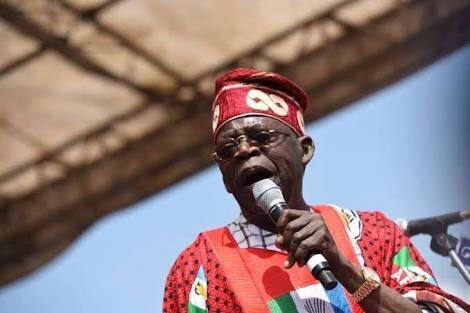 How Will Osun Election Affect Tinubu In Lagos? Fair was foul, and foul was fair in the Osun State governorship election held on Saturday, September 22, 2018, a day when democracy was stripped n*ked before sunset and r*ped to the applause of voters while a number of induced observers looked away in pretentious ignorance. “You can’t rig in areas where you’re not popular” was a crazy phrase which found its way into Nigeria’s political lexicon in 2007, the year when President Olusegun Obasanjo pronounced election a do-or-die affair. Election in Nigeria has remained so ever since with modifications in modus operandi, however. Today, the death of impoverished voters on election days has been replaced by monetary inducement while faith and hope have succumbed to despair and compromise. Voters don’t harvest death and violence on election days anymore, now they reap beforehand, in one day, the yield of four impending seasons – democracy is truly growing in Nigeria. Mortuaries no longer overflow on election days, voters’ pockets do. An innovative and cheerful giver, anti-corruption Nigeria has reinvented voting to include cash awards to ease voters’ pain in the sun and rain just as mass movement of mercenaries across states continued unabated. After more than 14 hours of agonising wait, the Independent National Electoral Commission announced in Osogbo, Osun State capital, on Sunday that the keenly contested governorship election was inconclusive, lowering high blood pressures across the country. The reason for INEC’s declaration is tenable because the 353-winning margin between the Peoples Democratic Party candidate, Ademola Adeleke and the candidate of the All Progressives Congress, Gboyega Oyetola, was lesser than the 3,498 voided votes in the election. By vote figures, the dancing Adeleke squeezed victory from Osun rock to the shock of fervent APC supporters, who looked forward to the cult-like figure of the Jagaban of Borgu, Asiwaju Bola Tinubu, and charismatic Governor Rauf Aregbesola, to not let Osun go to the opposition. But the mask of invincibility has been torn. The APC is licking its wounds, ruing some missed opportunities and wishing it had done things differently in some aspects. The same thing goes for the PDP which could have won the election if it avoided some needless ego squabbles that made some chieftains of the party, like ex-Speaker Adejare Bello, defect at the last minute. Bello, who was deputy governor to Senator Iyiola Omisore in the Osun 2014 governorship election, won his Ede area by over 400 votes. Like Adeleke, Bello is from Ede; he declared his ambition to become governor long before Adeleke, but he doesn’t have the financial muscle of Deji Adeleke, the immediate younger brother to the late Serubawon of Osun, Isiaka Adeleke. Deji supported his younger brother, Ademola, for the Osun-West senatorial district seat, which the boogieing Ademola won by defeating the candidate of the APC, Chief Mudasiru Husain. In the worst case scenario, Bello and his supporters across Osun would have mustered at least 2,000 votes for the APC. If you minus 2,000 votes from the APC’s votes and add them to Adeleke’s votes, the voided votes would have been much lower than the margin of difference between the two parties, giving ultimate victory to Adeleke. There are many more ifs of the governorship election. From the outset, the election was for the Aregbesola-led APC to win or lose – despite a growing disenchantment to some policies and actions of the state government. With the final results, the APC was far more popular than the PDP, but it failed woefully to manage its popularity and crises, and set itself up for a defeat long foretold. If the APC had curbed the intra-party squabble that saw the immediate past Secretary to the State Government, Alhaji Moshood Adeoti aka Shehu, dump the ruling party for the Action Democratic Party, the 49,000 votes Adeoti recorded in the election could easily have fetched victory for the APC. There are several other bigwigs of the APC like Oluomo Sunday Akere, Alhaji Fatai Diekola, Chief Peter Babalola, Chief Bayo Salami, Alhaji Azeez Adesiji, Chief Lai Oyedutan, Dr Demola Onifade, Chief Dotun Adeyemi, etc who left the APC in protest against alleged marginalisation and favouritism of politicians from Lagos State in the cabinet. Despite paying civil servants half salaries occasioned by the downturn in the state’s economic fortunes, if the APC remained as one entity, it would have trounced Adeleke. Also, if the leading opposition candidates were truly committed to ending the rule of the APC in Osun, they should have formed a common alliance and presented a candidate to face Oyetola in the election, but it appeared that each candidate was driven more by personal ambition rather than the need to unite against the APC. Last-minute talks broke down among the candidates of the PDP, SDP, ANDP and the African Democratic Congress led by its gentleman candidate, Alhaji Fatai Akinbade. Apart from the ‘ifs’ and ‘if nots’ of the election, the issue of rampant vote-buying by the APC and the PDP was a sore point of the election. No doubt, the outcome of the election was vitiated by systemic vote-buying which saw a vote going as high as N6,000 in Osogbo and N5,000 in Ede even as two party agents were caught with large sums of money at polling booths to induce voters. Unlike in the Ekiti election where votes were bought openly, in the Osun election, votes were bought mainly on the night before the election with buyers and voters swearing to oaths. In doing an appraisal of his tenure, its strengths and weaknesses, Aregbosola should have a rethink of the single uniform for all primary and secondary school students in the state as this has remained a major talking point against his government. The Aregbesola government, had no doubt, opened up Osun to innovative developments, but his government failed to marry the successes recorded in infrastructure with a compassionate ear to the yearnings of the citizenry, who faulted the merger of schools and the change in their names, among other calls. However, I don’t see any sense in the clamour for the governorship to go to Osun-West senatorial district because I’m an advocate of the emergence of the best brains at any point in time and the fact that such a clamour breeds mediocrity and complacency. It is not in doubt that the non-appearance of Adeleke at three consecutive governorship debates made many see Omisore as a more credible alternative and gave their votes to the Ife-born engineer. It’s also arguable that Adeleke’s appearance at the debates could also have nailed his ambition if he bungled questions at the debate and revealed the suspicion in some quarters that he doesn’t possess the capacity to govern. It wasn’t only voters that got induced before the election, the clergy also got their hands soiled by filthy lucre as some religious leaders predicted that certain politicians would win the election. In a viral video, a particular pastor of a white-garment church predicted Omisore would win the election. But the most shocking aspect of the election is Aregbesola’s loss of his Ijesa community, an indication that the days of the APC invincibility in Osun were over, and a warning to Tinubu to be wary of Akinwunmi Ambode’s banana peel in Lagos. What does the Osun downpour need? A broom or an umbrella?